The lovely sunny weather is perfect for bread making, it is wonderful to leave the dough on a sunny windowsill and see it growing. 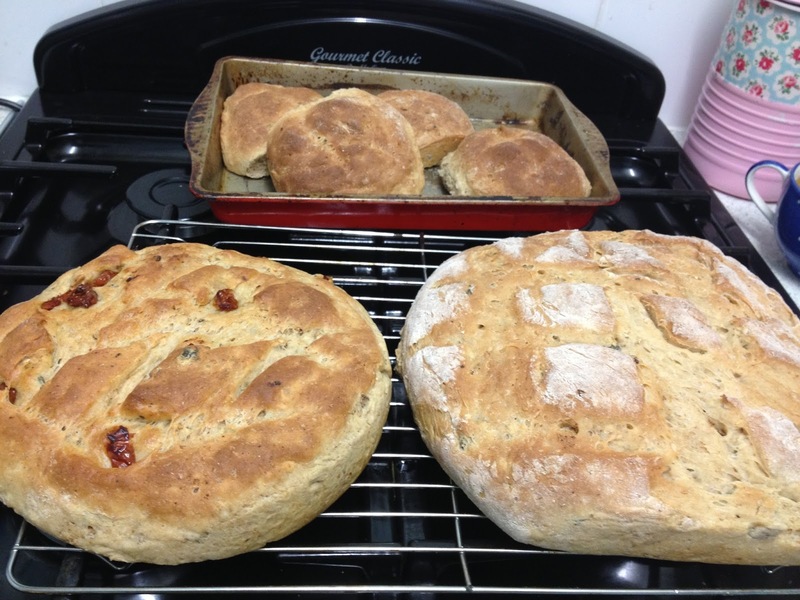 These foccacia breads to the left a roasted red pepper and paprika while the other is a plain white. I am amazed at how easy it is, very therapeutic kneading the dough. 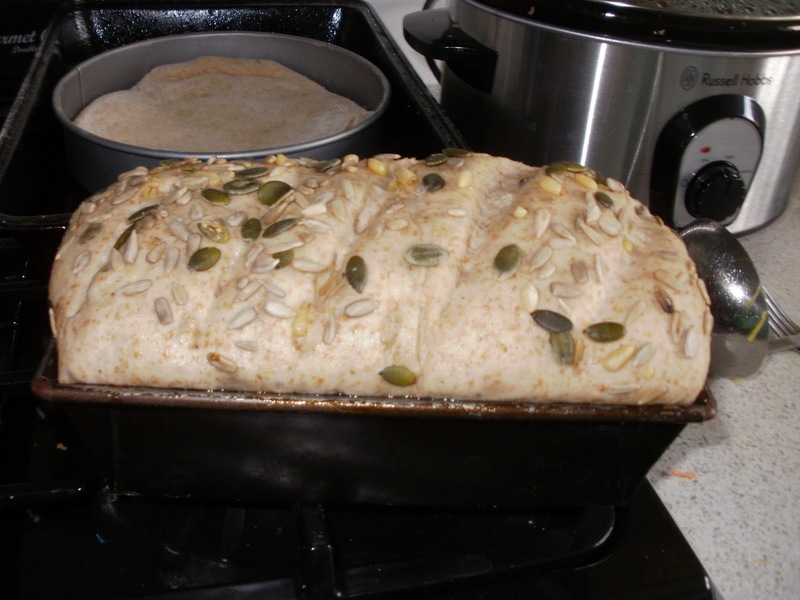 this is a seeded pumpkin loaf, I use my slow cooker when it is not so sunny, it maintains a lovely warm steamy atmosphere for the bread to rise. There is nothing quite like a loaf hot from the oven.